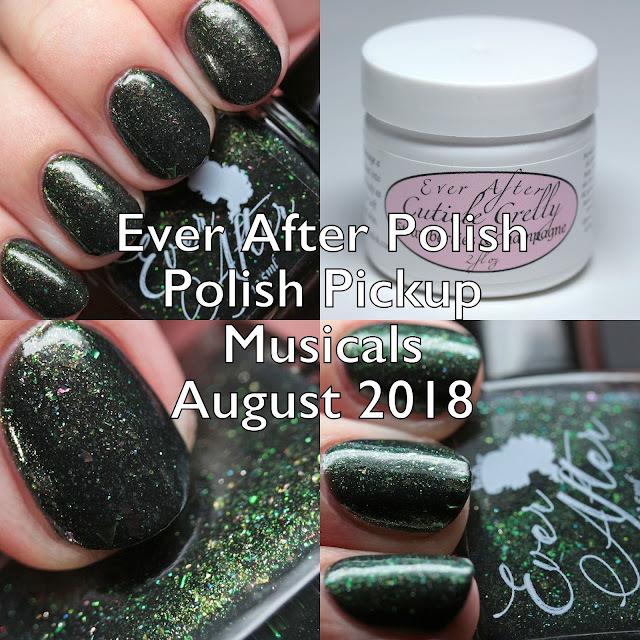 Polish Pickup is back from vacation and the August 2018 theme for this release is Musicals! Polish Pickup is a Facebook group and pop up shop that involves indie polish and craft makers producing items based on themes voted in by the group. The shop will be open from August 3 at 11AM EDT to August 6 at 11:59 PM EDT. 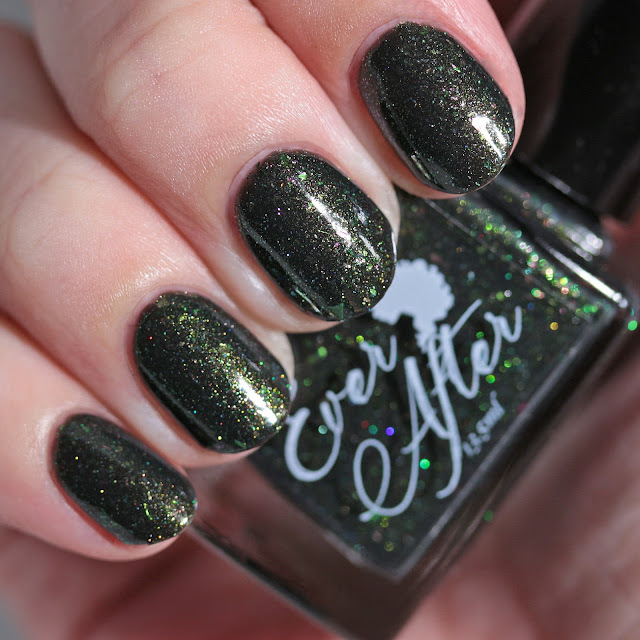 This time I have two items from Ever After Polish to share with you! 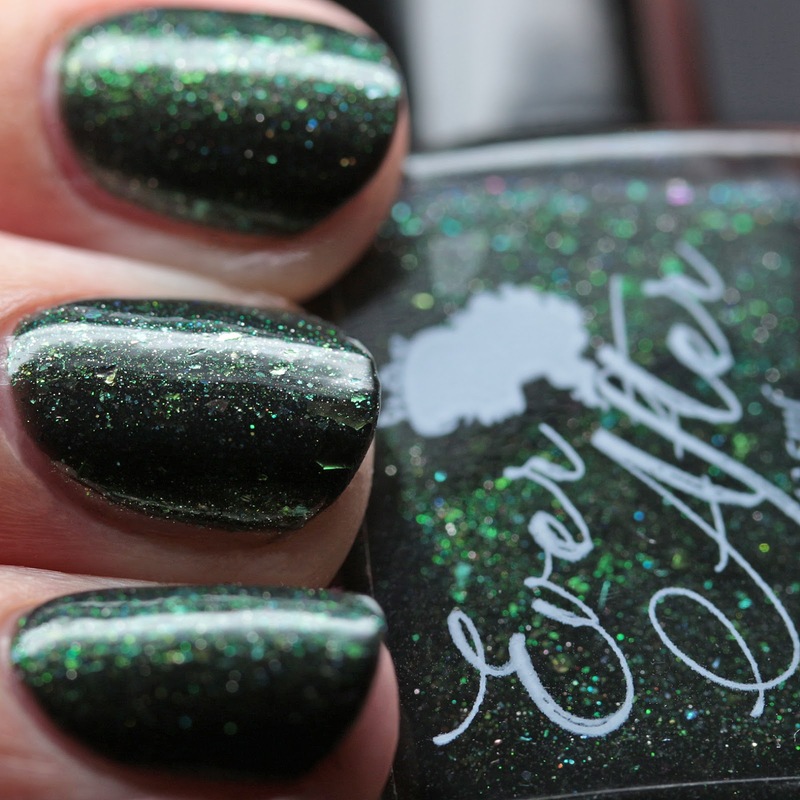 Ever After Polish has two items this round, a Cuticle Crelly and polish! 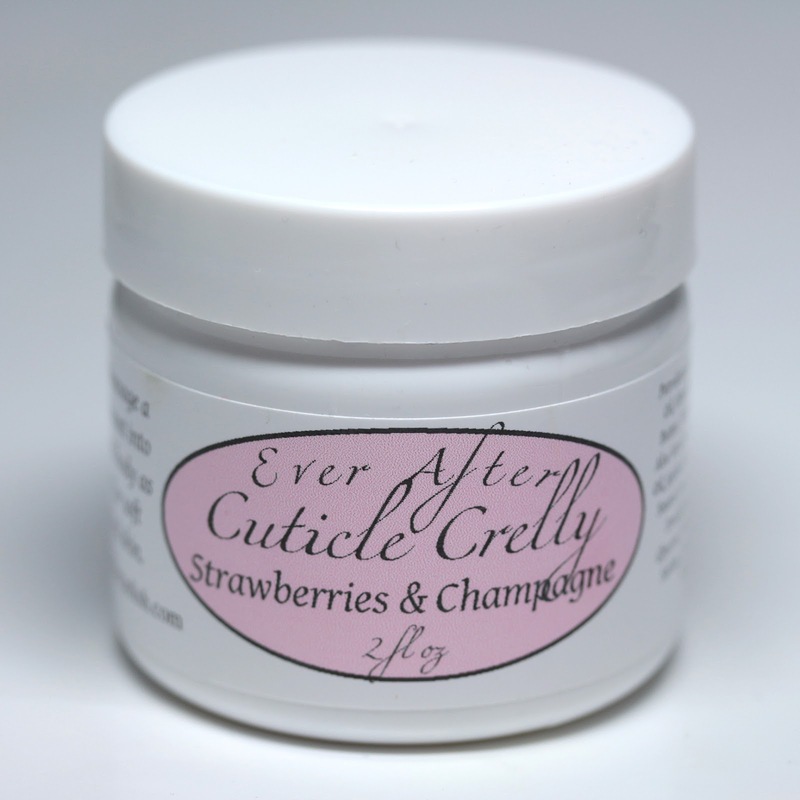 The Ever After Cuticle Crelly Strawberries & Champagne has a soft strawberry scent with a slight tang of champagne bubbles. It comes in a 2 oz. jar. 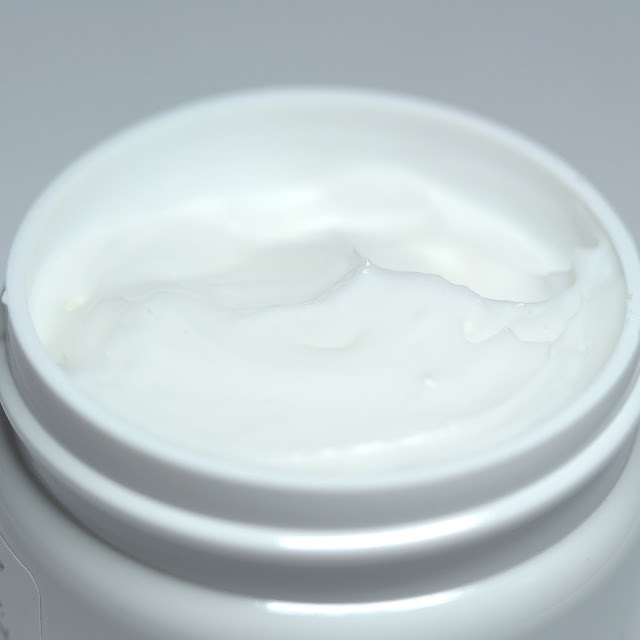 The Cuticle Crelly is one of my favorite all over lotions! 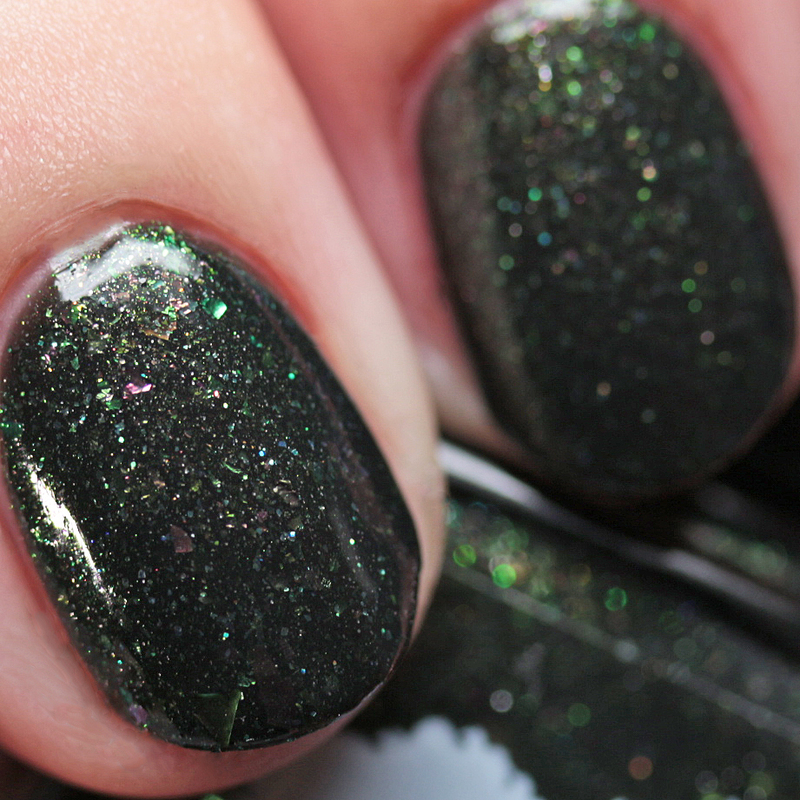 It will come with a sample size of the September Cuticle Crelly. What a great way to get a preview in person! 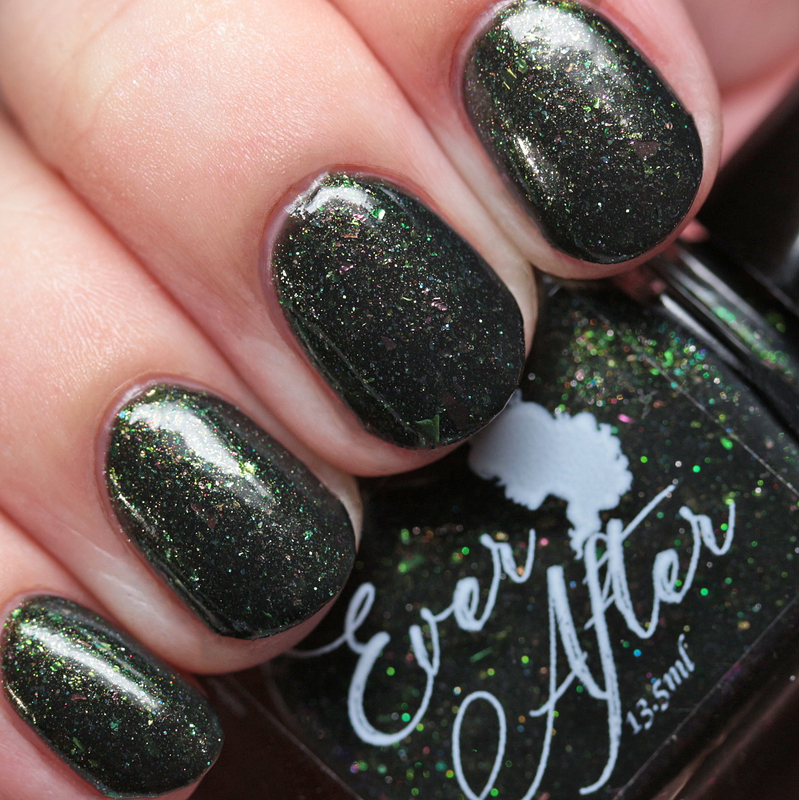 Ever After Polish Spellbound is a charcoal jelly with green-to-pink multichrome flakes, green flakes, green-to-blue duochrome shimmer, and a slight splash of holo. 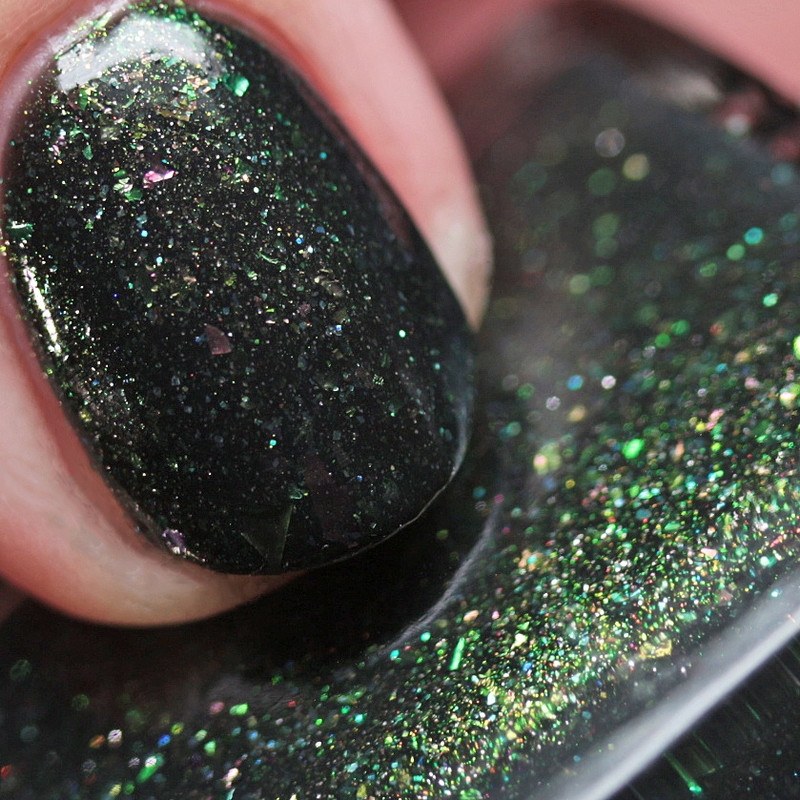 I wore it in three thin coats and it had a nice, quick-drying formula. It is inspired by Wicked and the relationship between Glinda and Elphaba. 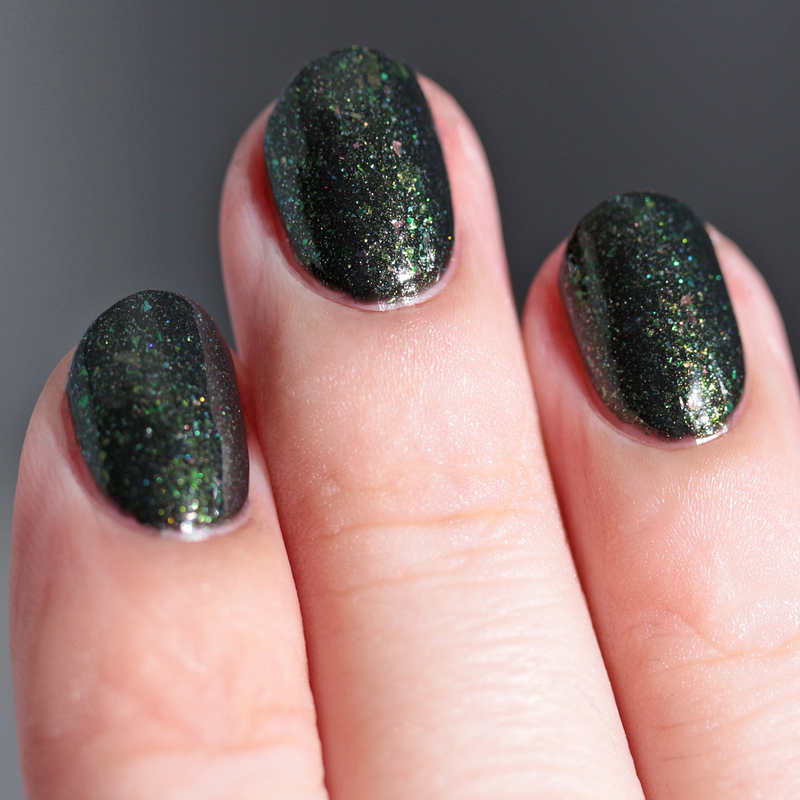 The Cuticle Crelly is a perennial favorite of mine and I love the vampy jelly polish this time! Polish Pickup will be open from August 3 at 11AM EDT to August 6 at 11:59 PM EDT. Stay tuned for more coverage!